Instructors | Midwest Taekwondo | For Sport. For Health. For Life. CONGRATULATIONS MASTER GALE FOR BEING SELECTED AS AN ASSISTANT COACH FOR THE UNITED STATES NATIONAL TEAM! MIDWEST IS VERY PROUD OF YOU! 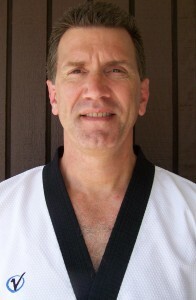 Master Russell Gale is currently a 6th degree black belt, with more than 30 years of Tae Kwon Do training. He spent several years competing in Olympic style taekwondo earning medals in state, national and international competition. He has since turned his competitive energy towards his coaching career. He has developed several athletes from his team to surpass his own accomplishments in the ring. He has seen his athletes make national teams and travel the world in pursuit of ranking points in their quest for an Olympic opportunity. Master Gale was given the opportunity to coach for the US National team in 2014 at the Cadet World Championships held in Baku, Azerbaijan. He was fortunate enough to sit in the chair of the US flyweight, who won the gold medal and the world championship. He would tell you that there is no greater sound or sight than to see an athlete receiving the World Championship gold medal while the US National Anthem plays. Master Gale continues to work with the US National Team as well as the athletes on his team here at Midwest Taekwondo, hopeful that success will continue to follow his fighters. Master Gale is also on staff with the USAT, the organizing body of Olympic Sport Tae Kwon Do in the United States. With the USAT he helps organize and run the US National Championships and the US Open. While Master Gale loves the work he does with the competitive side of Olympic taekwondo, his heart truly lies with the students that step on his floor every day looking to explore everything that taekwondo has to offer. Whether your goals are based in the sport, or you are just looking for a fun activity exploring the martial arts, we hope you find what you are looking for here at Midwest Taekwondo. 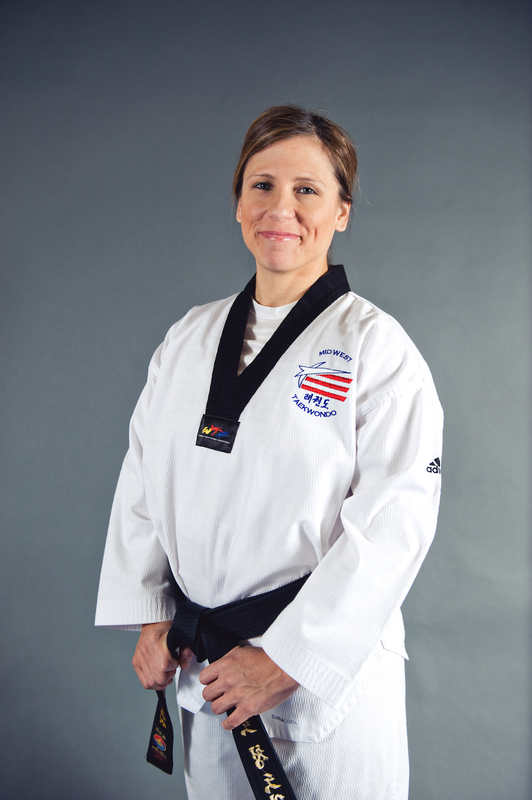 Master Tanya Panizzo is currently a 6th degree black belt and resigned her job as an Engineer for the Automotive Industry to teach Tae Kwon Do full time. She began her training at age 7 with her brothers (she is a triplet) and has been involved in the martial arts ever since. Master Panizzo began her training strictly because her brothers did, but as time went by, began to develop a love for the Korean martial art. Over the years, she has participated in numerous tournaments, eventually capturing a gold medal in international competition. She defeated her mother’s home country of Argentina to advance to the final rounds in this tournament. She has also participated in demonstrations and other special events that have given her valuable experience in many facets of Tae Kwon Do. She is also the coach for the Sport Poomsae Team at Midwest, which she enjoys. Master Panizzo works hard to further her knowledge of traditional Tae Kwon Do principles to enrich the lives of all students in her care. She is also involved in the instruction of children with special needs. She works privately with children with Austism and Aspbergers to help them develop coordination, fine and gross motor skills, confidence and self control. Along with teaching Tae Kwon Do, she is Owner of Fighting Spirit Personal Safety, a company that provides self-defense and personal safety training for children and adults. Tanya was instrumental in developing the A+ After School Enrichment Program at Midwest, which provides children with year-long community service opportunities with local nursing homes . She believes that Tae Kwon Do brings a positive outlook on a person’s life and encourages everyone, male and female, child and adult, to see what Tae Kwon Do and fitness can bring to their lives. Listen to an interview with Master Panizzo, recorded by Whistlekick Martial Arts Radio. All Instructors are Kukkiwon Certified Black Belts. All Instructors are certified in CPR and defibrillator use. All Instructors are certified in the Michigan Sport Concussion Education Program. All Instructors undergo a criminal background check. All Instructors undergo pre-employment substance abuse screening. Midwest TKD has a documented policy for housekeeping and cleanliness. Midwest TKD has a comprehensive emergency response plan.